Among the row of comfortable brownstone residences built in the decade after the end of the Civil War along East 66th Street near Central Park was No. 57. 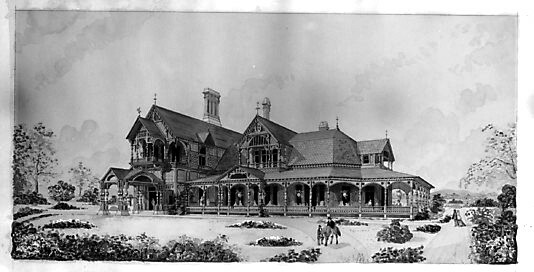 Designed by J. H. Valentine and completed in 1877, it was originally the home of Ira E. Doying. Henry V. D. Black and his wife, Jennie Prince Black, moved into the house in 1890. It was Mrs. Black who was most well-known. A composer and musician, she penned nearly 100 compositions. But by the turn of the century, things were changing in the neighborhood. On December 22, 1900 The New York Times reported on movements in the Fifth Avenue district. William Sloane, it said, had bought four lots from Andrew Carnegie on 91st Street and hinted that “he has bought the lots as the site for two fine residences which he will build for members of his family.” The article gave an update on the Carnegie mansion “now in course of construction,” and a purchase by John Jacob Astor. The rising neo-Georgian Carnegie mansion would be among the first of the grand homes that departed from the lush Italian or French palaces with limestone or marble facades. Its red brick with contrasting white stone trim would set a trend of dignity and reserve. The same materials would be used in the new house John Archibald Murray would erect on the site of the Black residence. Murray commissioned architect Augustus N. Allen to design the mansion. Construction on the four-story home began in 1901. Allen’s design melded neo-French Classic with English Georgian styling to produce a distinguished result. The rusticated base with its columned portico would be at home in the Mayfair section of London; while the limestone frames of the second story windows dripped with carved swags. Construction was completed in 1902. Before long Murray and his wife, the former Alice Rathbone of Albany, had two daughters, Leslie and Barbara. The socially-prominent Murrays would entertain some of New York’s most elite families in the house; including the debutante receptions and teas for both girls. After Leslie’s introduction to society in 1917, she busied herself as a nurse’s aide in various hospitals throughout the city during the war years. A member of the Junior League, she caught the eye of the dashing and eligible Major Lewis Stuyvesant Chanler, Jr.—a descendant of John Jacob Astor. On February 8, 1920 the New-York Tribune mentioned that “One of the interesting engagements announced during the week was that of Miss Leslie Murray, daughter of Mr. and Mrs. J. Archibald Murray, of 57 East Sixty-sixth Street, to Lewis Stuyvesant Chanler, Jr.” Chanler, who was a member of exclusive Knickerbocker and Racquet Clubs, had served in the 321st Field Artillery. When the pair was married on April 17 of that year, the Tribune noted that the “wedding united two of New York’s oldest families.” The social importance of the event was emphasized by the appearance of Flora Payne Whitney as a bridesmaid. The reception was held in the 66th Street house. The following year, in December, the Murrays hosted a dinner party for debutante daughter Barbara. It was followed by a dance at the John Henry Hammond mansion. With both daughters gone in 1927 John and Alice Murray sold their house. It became home to Francis D. Bartow, his wife and two sons. Bartow was a Vice President of J. P. Morgan and would soon hold a directorship with the General Electric Company. The Times reported on April 1, 1932 “From ‘Tin Mountain City,’ comprising four acres of shacks and emergency shelters in the Red Hook section of Brooklyn, to the towering apartments of Beekman Hill in Manhattan the work of recruiting block-aiders and of obtaining pledges went on at an accelerated pace.” The article said that the first three days of the campaign had resulted in $2,214,395 in pledges. Change to Francis Bartow’s professional career came in 1941. On June 28 it was announced that Charles D. Dickey, also a Vice President of J. P. Morgan & Co., had succeeded him as director of General Electric—a post Bartow had held since 1934. Three days later Bartow resigned his vice presidency of J. P. Morgan; although he retained his directorship. Francis Dwight Bartow’s retirement would be short-lived. In 1945 he died at the family’s winter home, Brewton Plantation, near Charleston, South Carolina. His widow lived on in the 66th Street house with her two sons until Clarence Whittemore Bartow married Elizabeth Vaux Ingersoll Woolston in Tuxedo Park on November 12, 1949. Clarence had served for four and a half years in the Pacific and Japan with the Army, earning the rank of captain. By now was a partner in Drexel & Co. and a vice president of the Bond Club of New York. Clarence’s brother, Francis D. Bartow, Jr., however, never married. A partner in Bartow, Leeds & Co., dealers in Federal, state and municipal bonds, he remained in the house on 66th Street with his mother. He died in New York Hospital at the age of 54 on March, 17, 1962. A starkly different chapter in the life of the venerable home at No. 57 East 66th Street in 1974 when it was purchased by artist Andy Warhol for $310,000. The mansion was found for him by Jed Johnson, a young man from Sacramento who had swept floors in Warhol’s “Factory” and eventually moved in with the artist and his mother on Lexington Avenue. Johnson, who would die in the crash of TWA Flight 800 over Long Island Sound in 1996, moved out after a few years. Andy Warhol now lived here alone, making it his private, personal territory. Few were invited into the house, including his most personal friends. Warhol’s love of collecting soon overran Johnson’s stately interiors. One friend, Ed Hayes, told New York Magazine in 1988 that “you had to climb over things” to move through the house. After Warhol’s death in 1987 four curators spent months going through the items, cataloguing more than 6,000 pieces ranging from cookie jars to Salvador Dali and Norman Rockwell paintings. The real estate listing in 1991 defended the $3 million price tag: four bedrooms, 6.5 bathrooms, two kitchens, two parlors, library, entrance gallery, 11 fireplaces, two roof terraces and an elevator. The price seemed reasonable to Spanish couple Adolfo Barnaton and Elena Benaroche who purchased the house that same year. But they never moved in. Two years later they sold it for $3.35 million, and in January 2000 it was sold again, this time to Chairman of MTV Tom Freston, for $6.5 million. A plaque commemorated 13 of the 121-years of history in the house in 1998. 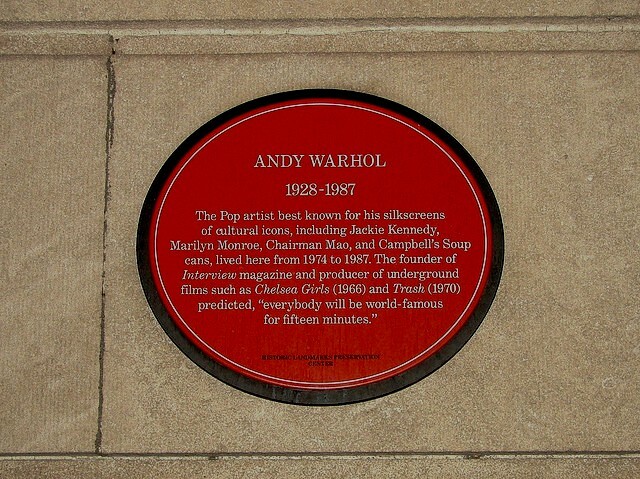 On August 6, 1998 to mark Andy Warhol’s 70th birthday a plaque was affixed to the façade to remember his residency here. The snub to the Murray and Bartow families is, perhaps, expected. The Great Depression did not totally put an end to the erection of private mansions in Manhattan; but it certainly slowed things down. Another factor contributing to the decrease in large home construction was the increasing popularity of “swell” modern apartment houses—free of the bother and cost of maintaining private mansions. In 1930 only four Manhattan townhouses were built; but one of them would be like no other. Born in Venice in 1873, Lionello Perera immigrated to New York at the age of 21. Two years later, in 1896, the ambitious young man established the private banking firm of Lionello Perera & Co., by taking over the business of his uncle, Salvatore Cantoni. Cantoni & Co. had been in business since 1862. Perera became one of the leading Italian bankers in the city. He married Carolyn Allen and during the first world war, the couple worked tirelessly. They helped establish the Italian Division of the American Red Cross and Lionello served as chairman of the Italian section of the foreign division of the Liberty Loan drives. By 1929 his bank had merged with the Bank of America and earned a seat on the board. Now nearing retirement, as other Manhattan millionaires were having second thoughts about building new homes, Perera instead made plans. He demolished the house of the socially-prominent William Adams Brown family at No. 49 East 80th Street and commissioned Harry Allan Jacobs to design an up-to-the-minute townhouse. Despite the Depression, New York was smack in the middle of the Jazz Age, echoed by the geometric lines of the Art Deco style. The face of Manhattan was being transformed with the sleek buildings of Rockefeller Center, the Chrysler Building, Empire State Building, and swanky Park Avenue apartment buildings. Jacobs turned to the cutting edge style for the Perera house. A stylish carved frieze in a sort of sea wave pattern separated the ground and second floors and would be more expected on a Madison Avenue office building. An Art Deco grill protected the entrance door. Jacobs relieved the otherwise severe rough-brick façade with creative brickwork—a band of sawtooth bricks sandwiched between terra cotta, and a zig-zagged cornice created entirely of brick. Jacobs designed the interior appointments as well. Lighting sconces and chandeliers took the forms of shells, geometric shapes and scrolls. Stark black and white marble floors were laid in a checkerboard pattern. The Pereras had five children, but already they were preparing to move on. A year after their moving in, son Dr. Charles Allen Perera married Ruth Hoopes Brinton; and in 1933 the entire city took notice when a double wedding took place in the house. On October 14 Lionello Jr. married Dorothy Fern Bittel, and daughter Nina married Charles Wood Collier. The brides wore near-matching gowns in the widely-publicized ceremony. The Pereras hosted a wedding breakfast in the house immediately afterward. Lionello Perera had retired in 1932 and he and Carolyn threw themselves into their charity and social works. Mayor Fiorello La Guardia appointed Lionello to the Child Welfare Board of New York, and he became vice president of the Italian-American Chamber of Commerce. Carolyn founded the Italian Welfare League in New York, was the head of the Henry Street Settlement Music School and with her husband helped to found the East Harlem Health Center. Her love of music led her to help found the Toscanini Memorial Archives; and she sat on the board of the Marlboro Music School. The social entertainments held in the 80th Street house were most often connected with one of the charities. Carolyn hosed a reception, for instance, on November 16, 1934 for the benefit of the Italian Welfare League; on April 1, 1940 she held a musicale in the house to provide scholarships for war refugees; and on March 14, 1942 she gave a tea for the Henry Street Settlement. A month after that tea Lionello Perera was traveling on the Congressional Limited train to Pennsylvania Station when he suffered a heart attack. The 69-year old millionaire was treated at the station when the train arrived at 8:10 p.m.; but he died thirty minutes later. By January of the following year Carolyn Perera had returned to her routine of charity entertainments, hosting a meeting a tea for the benefit of the Grenfell Association of America. Shortly thereafter, however, she moved to No. 51 East 91st Street, selling the house to Walter Edward Sachs. Sachs was the grandson of Marcus Goldman who founded Goldman, Sachs & Company in 1869. He was initially dissuaded from entering the family business because his two older brothers were already partners. Walter’s parents set him on the career path of an attorney. He attended Harvard Law School with what The New York Times called “disappointing results” and in 1905 he went to work at Goldman, Sachs. Perhaps surprisingly to his family his financial skills, unlike his legal talents were exceptional. He was credited with playing a leading role in bringing the firm through the stock market crash and making it one of the foremost investment banking houses in the world. He would later be one of the first financiers to make an extended visit to the Soviet Union. Walter and Mary Sachs’s second child, Philip Williamson Sachs, was born in 1949 and the couple's life seemed outwardly quite happy. Like the Pereras, they were highly involved with social and charitable causes and Sachs was a participant in the development of the N.A.A.C.P. What seemed a contented marriage ended in 1961 with Mary staying on in the 80th Street house for a time. In the meantime, a young girl from Brooklyn was making a name for herself on Broadway. Barbara John Streisand, who changed her name to Barbra, had appeared on stage and in television but it was not until 1962 that her fame began to skyrocket. That year she first appeared on Broadway in I Can Get It for You Wholesale, she appeared on The Tonight Show and her first album, The Barbra Streisand Album, won two Grammy Awards in 1963. By 1969 she was a major star. But she could not rent an apartment in Manhattan. She was not only an actress, she was Jewish. Streisand brought in the aging artist Erte to consider designs for the dining room (he suggested a painted wall to fill a framed recess) and, possibly, the new “service entrance” she planned for the first floor. Working with architect Ira Goldfarb on that renovation, she had not yet decided whether to repeat the Art Deco grill of the entrance, or have Erte design something. In the end the garage door was just a garage door. Barbra Streisand sold the house just a few months later, moving her eclectic collection of Art Nouveau furniture, German Expressionist art, and early 20th century glass to California. The house remains a private home; one of the least noticed but most unique in the city. Catharine was the widow of Captain Daniel McGown who was lost at sea in 1759. She operated the tavern, which became known as McGown’s Pass, with the help of her son Andrew. The inn would play host, like it or not, to British outposts on September 15, 1776, the day before the Battle of Harlem Heights. The Mount St. Vincents buildings were used as a hospital in the Civil War; then in 1866 they were converted to a refreshment house for Park visitors, and the chapel was used as a statuary gallery and museum. But on the morning of January 2, 1881 fire broke out and the complex was destroyed. The ruins sat for five months before the Commissioners ordered them cleared away and the area planted with ground cover. A controversy erupted between the New York Municipal Society against the building of another refreshment house, and those who wanted a new restaurant. Eventually the restaurant promoters won. In 1884 the grand and sprawling Mount Saint Vincent Hotel was completed. The name concerned Mother Jerome of the Sisters of Charity who did not care to have it connected with a liquor establishment. She requested that the Commissioners abolish the name from the Central Park map, and they formally complied on April 16, 1884. The hotel, however, was less accommodating. It was not a dispute that would end well for the restaurateur. Police barricaded the building and McCann could only stand and watch as “All day men were busy taking out goods from the hotel back to the stores and offices from which they had come. The stock ticker went first; then a man came to take out the electric annuniciators on the doors and the telephone with Richard Croker’s number leading the list. There were also brewery wagons and grocers’ wagons and ice cream dealers’ wagons. McCann’s brindled bulldog wandered about disconsolate and only awoke to give chase to a ragged Maltese cat that approached the house,” reported The Sun on May 14. 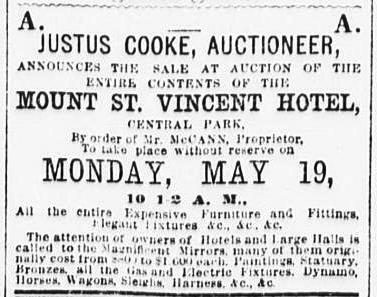 Five days after McCann was ousted he held an auction of the furnishings and artwork. Some of the mirrors, his auction ad claimed, had originally cost $1,600 each—a staggering $35,000 today. In a brilliant marketing coup, Case continued the practice (omitting the pie) in his new inn. And each year with the first substantial snowfall, teams were quickly hitched to richly colored sleighs as New Yorkers raced to be the first to reach the inn and win the bottle of champagne. It would be an ongoing issue, however. Four years later it was not the selling of liquor that bothered investigative reporters; it was the selling of liquor on the Sabbath. An article was published accusing McGown’s Pass Tavern of breaking the excise laws. Case was “chafing” according to The Times and wrote to Parks Commissioner James A. Roosevelt in his own defiant defense. Park officer Sergeant Ferris visited the tavern on a Sunday afternoon in April 1895 and Park Police Captain C. C. Collins subsequently wrote to Roosevelt with his findings. The issue of liquor at McGown’s Pass Tavern was eventually put to rest. In the meantime, nearby on 124th Street just off 7th Avenue was the boarding stable owned by John J. Quinn, whom The Times called “a Yankee with a good Hibernian name.” Quinn hailed from Manchester, New Hampshire but had lived in New York long enough to have already won Case’s champagne bottle trophy ten times. A change in venue would not deter him. And he continued to be unbeatable. On January 12, 1896 The New York Times reported on his sixteenth consecutive winning of “the coveted bottle” which “is now on his desk at the stable.” It would not be the last bottle John Quinn won in the opening sleigh ride of the season. 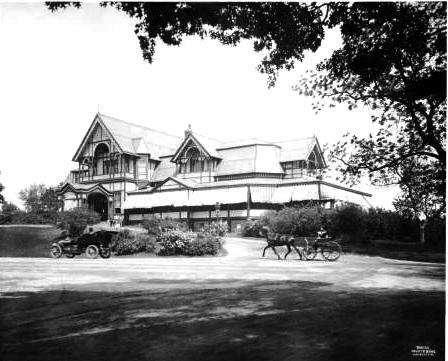 The carriage trade continued to patronize the Tavern and in 1902 Mrs. Edward Lyman Short devised a “outing dinner club” that included society names like Schieffelin, Delafield, Rutherford and Van Rensselaer. The concept was to meet at different high-class restaurants throughout the season as a diversion to the conventional mansion dinner parties. McGown’s Pass Tavern was one of the first places the group patronized that year. It seemed like a good place for Howard Gould to meet his wife for lunch on the afternoon of April 7, 1904, before leaving town. Mrs. Gould was to meet her husband at 3:30; however she “did not leave the Waldorf-Astoria, where they have been living, until after the appointed hour,” according to the newspapers. Already late, she ordered the chauffeur to hurry. And he did. Unfortunately his speed caught the attention of mounted Policeman John Murphy within the park. Just two blocks from the Tavern, the driver was stopped and, although Murphy intended only to warn him about exceeding the speed limit, “the chauffeur gave an insolent answer, which led to an altercation, during which Murphy placed the man under arrest,” said The New York Times. Mrs. Gould insisted that her driver be allowed to take her the two blocks to the restaurant; but the policeman was equally insistent on taking him to the station. Because the socialite was, apparently, unable to walk the two blocks on her own, she went to the police station at No. 25 West 56th Street as well. In the meantime, Howard Gould waited, equally impatiently, in McGown’s Pass Tavern for his long-delayed spouse. After hearing the case in which Murphy claimed the chauffeur was reaching speeds of 20 miles an hour and the driver insisting he was going only 8 (the speed limit in the Park), Magistrate Baker imposed a fine of $10. Except the driver had no money. Mrs. Gould searched her purse, only to find that she, too, had no cash. He promised to have Murphy dismissed from the force, denounced the fine (although he paid it) and the three climbed into the limousine headed directly for Grand Central Station. A quiet lunch at McGown’s Pass Tavern was not to be. Gabe Case had been suffering from Bright’s Disease and a month before the unfortunate Gould affair he passed control of the Tavern to his partner, John L. Scherz. Case’s condition worsened and on June 2 he died in the Tavern. Although Scherz carried on the traditions; it was the beginning of the end of the venerable inn. By 1915 Max Boehm was running the Tavern and that year the Parks Commissioners felt they needed the property for city use. “If the old Arsenal is torn down, as Commissioner Ward has stated that he intends it shall be within a short time, the McGowan’s [sic] Pass house may be used for the park police station.” Max Boehm was issued an order to vacate. The Tavern had a brief reprieve, long enough for William H. Allen, Director of the Institute for Public Service to complain to Mayor Mitchell about the sale of liquor and dancing in Central Park. But that dogged issue of liquor in Central Park was put to rest when the grand and imposing structure was finally razed in 1917. In a humiliating act for the once-proud building, its foundations were not destroyed. Instead, the foundation stones that once upheld the Tavern where New Yorkers in silk top hats and fur stoles found relief from the chill outside now serve to contain the Park’s compost pile. In 1893 Seventh Avenue above 34th Street was a mixture of brick- or brownstone-clad rowhouses and small businesses. The millinery and apparel district was still centered on Broadway below Houston Street, but the upward progression of the commercial district was already making its effects felt. In February of that year two four-story brick houses, at Nos. 471 and 478, were sold for a combined price of $23,400. It was the end of the line as a residence for No. 478. The house was converted for business use and small offices moved in. One of these belonged to Harry Kalisky, a bondsman. Kalisky made his living by providing bail to criminals, most of them charged with petty offenses like pickpocketing or drinking on Sunday. For a five-dollar bill, the offenders could avoid sitting in the Tombs awaiting their appearance before a judge. Among law enforcement and polite society, bondsmen suffered an unhappy reputation. “These bondsmen are all rascals and sharps and should not be countenanced,” said Magaistrate Cornell of the West Side Police Court on April 18, 1899. He was speaking specifically of Harry Kalisky. Kalisky had provided the bond for 23-year old Mary Williams who had been arrested by Policeman Thorpe for “loitering in the streets.” The young streetwalker had never met her bondsman before. Although, according to The New York Times, “The woman promised to behave and was discharged,” the magistrate had had his fill of bondsman. “It would be much better to parole these women and take chances in their coming here than to have this system of hired bondsman,” complained the judge. The system endured, however, and Harry Kalisky remained at No. 478 Seventh Avenue for years. In 1906 he drew the attention of another magistrate when he provided bond for Martha Francis, the principal witness in the Berthe Claiche murder case and the accused madam of a disorderly house at No. 150 West 32nd Street. A “disorderly house” was the polite term for a place of prostitution. Kalisky was not the only tenant at No. 478 providing bondsman services. Moses Weltz ran a clothing store on street level and enhanced his income as a bondsman. On Sunday night, November 3, 1907 Bob Nelson’s saloon at 7th Avenue and 30th Street was raided. The saloon was openly serving alcohol on the Sabbath. Two bartenders were arrested and taken to night court and held in $500 bail for appearance the following day. While Kalisky and Weltz were busy bailing prostitutes and bartenders out of jail, the millinery and apparel industries were moving into the area. Before long, No. 478 Seventh Avenue would be engulfed by New York’s vast Garment District. But for now the little converted house continued to serve a variety of tenants. Dr. F. M. Hyman had his office here in the early 1920s. In October 1923 he was called on to examine the World’s Bantamweight Champion Joe Lynch. The day before the championship match between the champ and Joe Burman, Lynch suffered an accident. While “alighting from his automobile at the corner of Seventy-sixth Street and Broadway, [he] tripped over his pet collie dog,” said The Times. A doctor on West End Avenue diagnosed him with a dislocated shoulder and badly lacerated ligaments. The State Athletic Commission insisted that Lynch be examined by two other physicians—Madison Square Garden’s official doctor, William H. Walker, and Dr. Hyman. The suspicions and accusations of foul play were rampant and Burman’s manager was “much perturbed” and said he would lay claim to Lynch’s title before the Boxing Commission. To make things sketchier, neither doctor would confirm the injury. No. 478 was remodeled in 1925 to include a restaurant on the second floor. The street level store and offices on the third and fourth floor remained. 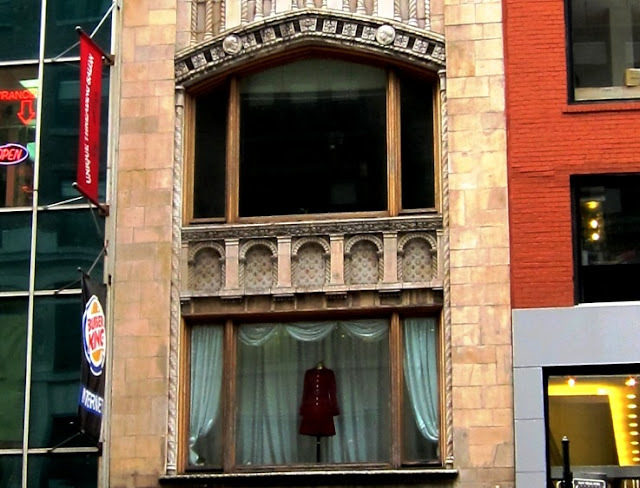 Although uptown the exclusive Embassy Club was the venue of debutante cotillions and political dinners, the second floor space in the little building on 7th Avenue boldly took the same name. Borrowing the name of a fashionable resort was not the only bold action of the restaurant owners. On December 21, 1926 the Embassy Club was raided by Federal prohibition agents “in an eleventh hour effort to stem the admittedly high tide of holiday liquor,” reported The Times. Even despite Prohibition, the days of the Embassy Club on 7th Avenue were numbered. In 1918 Samuel A. Lerner and Harold M. Lane had founded Lerner Shops. The firm offered moderately-priced women’s dresses and accessories, including what are now termed “plus sizes.” By now the company was looking to make its entrance into the Garment District. 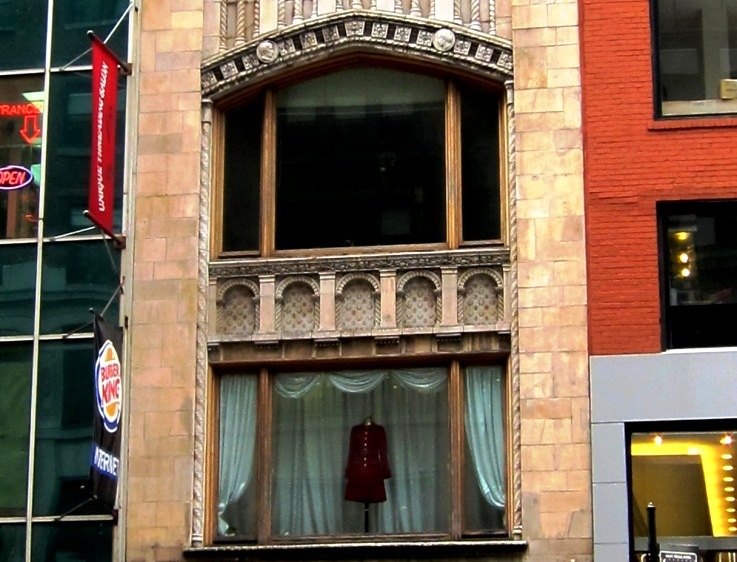 In 1927 Chain Store Age reported that “Lerner Stores Corporation, women’s wear, will occupy [a] new store building to be erected at 478 Seventh Avenue New York.” It would appear from Department of Buildings records that Lerner Stores did not erect a new building, but as had been done 34 years earlier, renovated it. Twisted colunnettes, shields, and plaques decorated the newly-redone building. The green-and-gold shields announced the store name. The transformation was eyecatching, to be sure. Faced in stone and terra cotta, the structure now touted medieval motifs and heraldic symbols. Two handsome, if contrived, coats of arms surmounted with crowns announced Lerner Stores. Rope-twist colunettes, shields, blind arches and a quartet of somewhat eerie heads along the parapet combined to make the little building totally unique among its neighbors. The large upper show windows are still in use today. Lerner Stores would stay in their new home only two years. In 1930 the building was leased to Samuel Salnick. Throughout the remainder of the 20th century the Garment District exploded with tall loft buildings until No. 478 and its next door neighbor on the corner, another converted 19th century residence, were overshadowed. 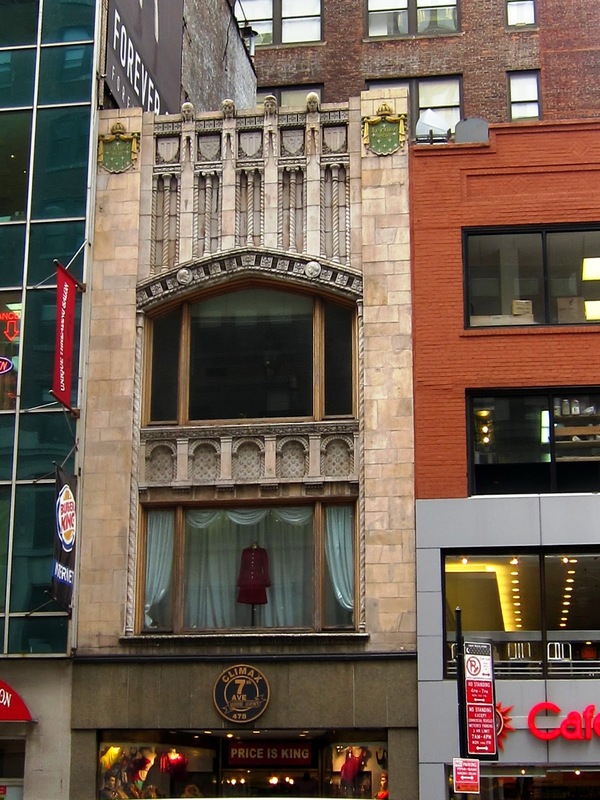 Although the street level has been obliterated with a modern, uninteresting façade, the upper floors of the Lerner building are incredibly intact. The quirky little building is lost among the flurry of 7th Avenue, but is worth a pause and a look upwards. Following the Revolutionary War, the summer estates of Manhattan’s wealthy citizens on the northern reaches of the island were reopened as a sort of normality returned. 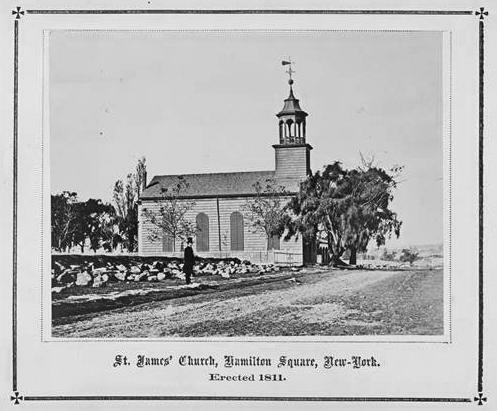 Small churches were erected to serve the seasonal communities, among them St. James’ Church on Hamilton Square at 69th Street and Lexington Avenue. Paid for by Trinity Church and built in 1809 through 1810, the clapboard chapel served the residents with properties along the East River. Its rector rushed between services here and at St. Michael’s Episcopal Church, a similar wood-frame country church on the opposite side of the island, using the Harsenville Road (what is essentially now 71st Street). 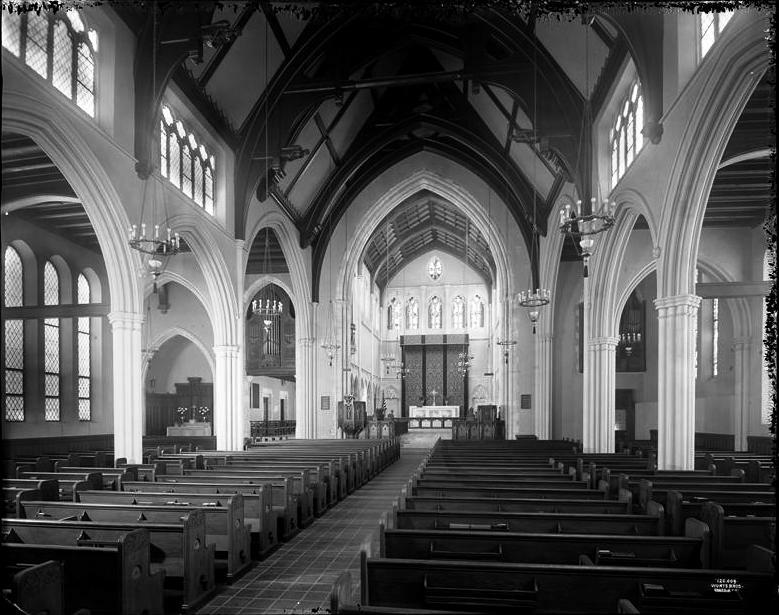 Within a decade several of the wealthy parishioners made the area their full-time residence. The little church was opened year-round in the 1820s. While the neighborhood remained rural for some time (in 1837 the city was renting much of the land as pasture); the city was moving closer. During the Civil War Hamilton Square was used as a parade ground and in 1867 the city reduced its size to accommodate development. Two years later, it eliminated the park altogether. Despite the war raging to the south, development continued. Engineers leveled Lenox Hill, laying out the cross streets and extending Lexington Avenue northward—necessitating the demolition of St. James’. Now a heated discussion arose concerning a new building. The neighborhood, known as Yorkville, had been filling with immigrants fleeing the overcrowded and unsanitary Lower East Side. The rector pushed for rebuilding near the old site in order to serve this needy community. The church trustees, however, preferred to retain the congregation’s upper-class tradition and move closer to the new mansions rising along Madison and Fifth Avenues. 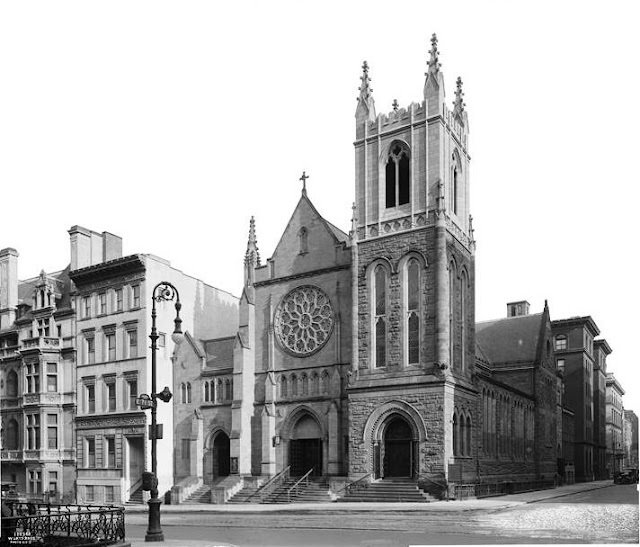 Land was procured on East 72nd Street and in 1869 the new church was dedicated. The wealth of the congregation is evident in their choice of architects. James Renwick, Jr. was responsible for the masterful Gothic Revival Grace Church, completed in 1846, and his monumental St. Patrick’s Cathedral was rising on Fifth Avenue when he was approached to design the new St. James’. Renwick’s design would be less historically pure than the former two churches; its updated Victorian Gothic façade more charming than majestic. But the Renwick church would not suffice for long. 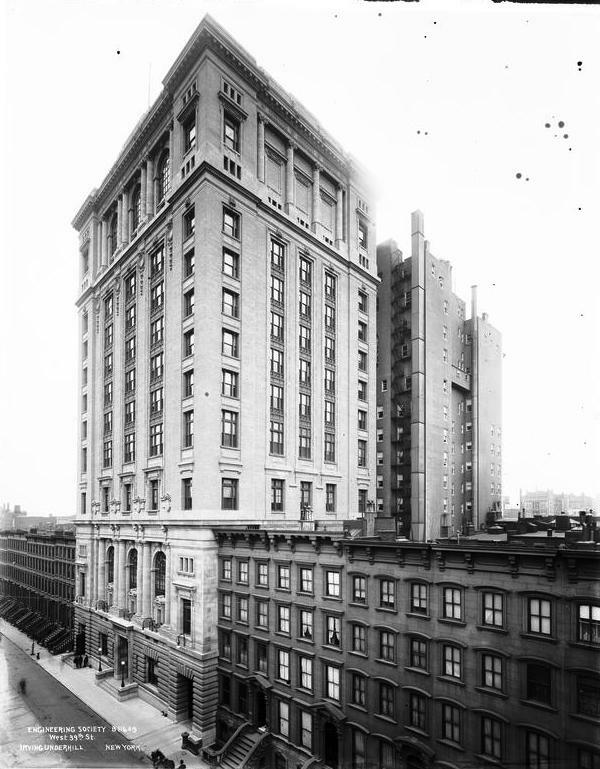 Development of the Upper East Side boomed during the last quarter of the century and in 1884 construction began on a larger structure at the corner of Madison Avenue and 71st Street. Once again the parish had turned to one of the leading architects of the time—R. H. Robertson. Robertson embraced the newly-popular Romanesque Revival style, developing his own take with rough-cut stone and contrasting materials. For the new St. James’ Episcopal Church he played all his cards. Brownstone, granite, terra cotta and tiled shingles melded together to form connected, arched windows, towers and arcades. Robertson turned the building around, putting the entrance down the block rather than on Madison Avenue as would be expected. 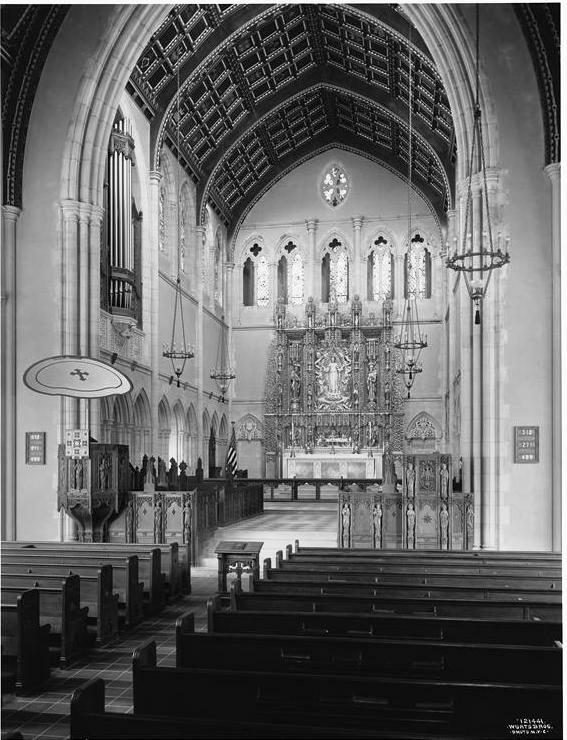 Now there was no chance that the glorious windows of the chancel would be blacked out by tall construction next door. 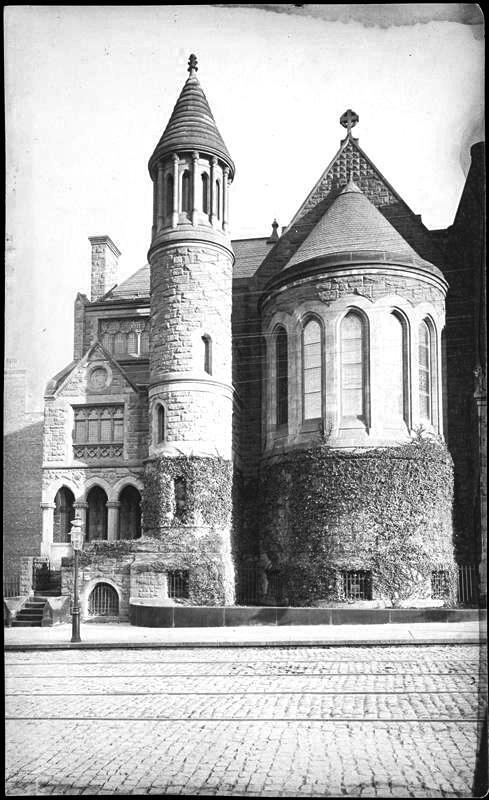 The new building was completed in 1885 and services began with a rather stumpy corner tower still uncompleted. It never would be. Unlike the Gothic Revival style favored by Renwick that became nearly synonymous with ecclesiastical architecture, the Romanesque Revival style faded. By the 1920s Robertson’s robust design was not yet historical, it was merely old-fashioned. Perhaps no architect of the day was more well-known for his Gothic designs than Ralph Adams Cram. In 1924 Cram was the Supervising Architect of Princeton University where his Collegiate Gothic buildings had been going up since 1907. He had received the commission for the gigantic Cathedral of St. John the Divine in 1911 and was responsible, with Bertram Goodhue, for Saint Thomas Church on Fifth Avenue. He was now approached by St. James’ to remodel the outdated church. Cram removed Robertson’s towers and round arches and completely reoriented the sanctuary. The three entrances openings were positioned on Madison Avenue, affording a grander entry. Above the central entrance door a large, lacy rose window burst forth. Robertson’s squat corner tower remained; but now with a more complete-looking Gothic belfry added by Cram in 1926. Inside the architect embellished the space with exposed polished beams supporting the ceiling, a gilded reredos and soaring stone arches. Considering St. James’ somewhat haughty history, its outreach to the homeless in the 1980s might have seemed ironic. In 1981 the Rev. William E. Smyth became alarmed at the increasing number of homeless bedding down on church doorsteps, including his. He helped form the Neighborhood Coalition for Shelter with the support of other churches, synagogues and other institutions. The coalition worked to find shelter for those truly in need. The church opened a soup kitchen around the same time, offering meals to the homeless. Well-dressed residents of the neighborhood would often see a line of up to 60 indigent men waiting patiently for a hot lunch. In 1903 Andrew Carnegie conceived of a unified headquarters building that would consolidate the offices and meeting rooms of the city’s various engineering groups. The philanthropist offered to donate a substantial amount towards the construction of what would be known as the United Engineering Societies Building. At the time one of those organizations, the American Society of Civil Engineers, was coming to the realization that its handsome building on West 57th Street was too small. Carnegie’s offer of a new building seemed to some to be both timely and financially advantageous. Members, concerned about the society’s autonomy, voted against the grand plan and politely declined and chose instead to enlarge their existing structure. As a matter of fact, Carnegie had increased his offer to $1.5 million three days earlier. The participating groups—the American Society of Mechanical Engineers, the American Institute of Mining Engineers, the Engineers’ Club and the American Institute of Electrical Engineers—would be responsible for contributing the balance of the cost which was anticipated to be $2.5 million. 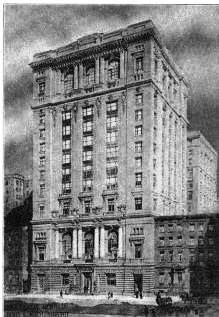 The decision was quickly made to house the Engineers’ Club in a separate building on West 40th Street facing Bryant Park and nearly back-to-back with the United Engineering Societies Building on West 39th Street. A committee of twelve engineers, three from each was formed to oversee the plans. West 39th Street between Fifth and Sixth Avenues was still lined with brownstone residences and the new building would replace three of them: Nos. 29, 31 and 33. With stunning forethought, the Conference Committee purchased the adjoining brownstone at No. 27. A restriction was written into the deed which prevented the erection of a building more than 60 feet high on the site—ensuring that the Engineering Societies’ Building would have windows and sunlight above the third floor to the east. American Architect and Architecture reported that “It then became necessary to select an architect. The worldwide fame of the donor, the magnitude of his gift, the national character of the engineering societies, and the great cost of the contemplated edifice, made the selection of an architect a semi-public matter of more than ordinary importance.” As a result of Carnegie’s wishes, six architects “of high reputation” were paid $1,000 to submit plans and any other architects who cared to participate were invited to do so—without compensation. 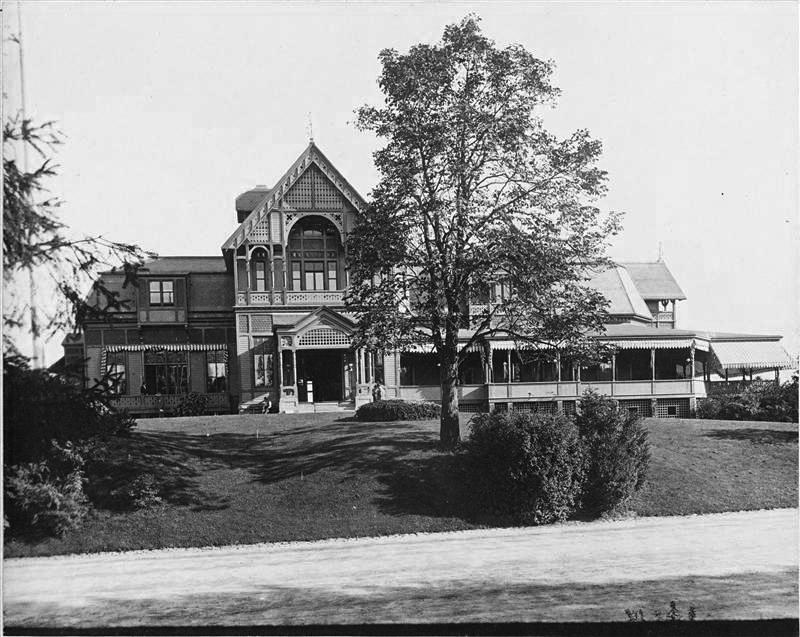 The competition stipulated that the Engineering Societies Building be of “a handsome but not too ornate treatment” with the side and rear walls “to be reasonably conformable in architectural treatment with the front elevation” A pair of architects won the commission—Herbert D. Hale of the Boston firm Hale & Rogers, and New York architect Henry G. Morse. The committee dictated several important requirements. A large auditorium, capable of seating an audience of at least 1,000, would be incorporated into the first floor, eliminating the need of an elevator for access. The upper two floors would be devoted to the libraries of the various societies. The top floor was to be dedicated to reading and reference rooms, “working alcoves,” and rooms for photographic reproduction, drawing and similar library work. The Railroad Gazette reported that the reading rooms “will be quiet, cool, airy, and free from dust.” The floor beneath the reading rooms was to be devoted to the book stacks. The committee envisioned the later inclusion of additional societies, so the building was planned with extra space. Engineering World, in April 1905, listed such possible groups as the New York Electrical Society, the Society of Naval Architects and Marine Engineers, Heating and Ventilating Engineers, and Society of Chemical Engineers among them. The cornerstone was laid by Mrs. Andrew Carnegie on May 8, 1906. On New Year’s Day 1907 the building was ready for occupancy, although still not totally complete. Constructed of “hydraulic-pressed gray mottled brick, with limestone and terra cotta trimmings,” the resulting structure was subdued yet monumental. Above the rusticated limestone base, massive stone columns framed grand arched windows. The treatment was repeated nearly brick-for-brick at the top two floors. Members entered into a large foyer tiled in Tennessee marble girded by twelve large Swiss Cipolia marble columns. “Gold ornament is used sparingly for architectural accentuation, and the woodwork is in dark oak. Large chairs and lounges in red leather furnish the foyer, and similar furniture is used in the writing-room, smoking-room, reception-room and administration-room,” said American Architect and Architecture. The auditorium seats were upholstered in red leather, matching the red carpeting of the aisles. A glass ceiling was lit by incandescent lamps. “There is also a fine stereopticon equipped with connections for moving pictures,” said American Architect. Andrew Carnegie delivered an address at the dedication ceremonies on April 16, 1907. The New-York Tribune called the opening of the building a “significant affair.” Letters from the President of the United States, the President of the Republic of Mexico and the Governor General of Canada were read. The nearly week-long ceremonies ended “with an informal smoker and vaudeville for the members of the founder societies on Friday,” said the Tribune. The day following the dedication the John Fritz Medal was presented to Alexander Graham Bell in the auditorium. The medal, first awarded to John Fritz in 1902 on his 80th birthday, signified “outstanding scientific or industrial achievements.” Bell would be the first of a long line of illustrious inventors and engineers to receive the award in the building. Among them would be Thomas Alva Edison the following year, Alfred Nobel, Orville Wright, Guglielmo Marconi, Elmer Ambrose Sperry and Charles F. Kettering. The building became home to the annual International Congress for Testing Materials. In 1912 over 600 scientists worldwide attended the convention. 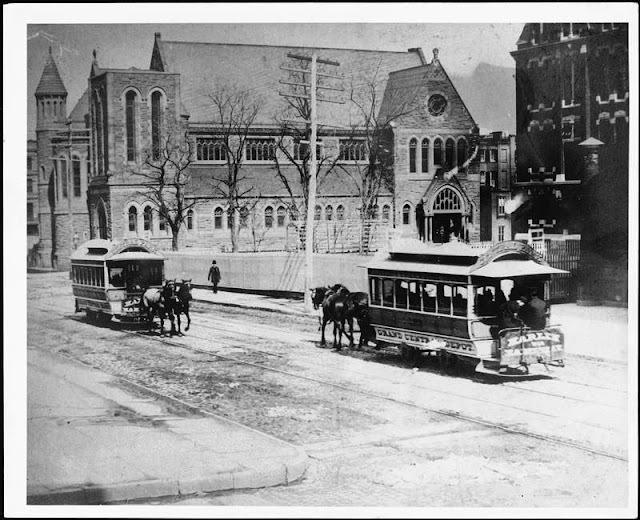 When a national railroad strike crippled transportation the following year, the Engineering Societies Building was used for conferences and from here a telegram was sent to President Wilson asking for mediators. On December 17, 1917 the American Society of Civil Engineers finally relented and gave up its headquarters on 57th Street to join its related societies on 39th Street. The move prompted a later addition of two floors atop the Engineering Societies’ Building to accommodate the new member. The various engineering societies remained in the building until September 5, 1951 when they moved into the United Engineering Center at No. 345 East 47th Street near the United Nations.